After having completed his studies at the Central Music School of Leningrad, he joined the Tschaikowsky Conservatory of Moskow to study with Prof. Yuri Yankelevitch, one of the most prominent violin professors of the 20th century. His career started already at the Moscow Conservatory. He won several international first prizes: the Wieniawski Violin Competition in Poznan (1967), the Chamber Music Contest in Munich (1969), the Chamber Music Contest in Belgrade (1972), the Violin Contest in Montreal (1972), the Interforum in Budapest (1974) and the Queen Elisabeth Violin Competition in Brussels (1976). Since 1957, he has toured in Russia, Poland, the Czech Republic, France, Austria, Bulgaria, Belgium, Hungary, Germany, Yugoslavia, Spain, Denmark, Sweden, Switzerland, the Netherlands, Israel, England, Mexico, Columbia, the USA, etc. During all these years, he has recorded over 40 albums with different recording companies, such as: Melodia, Deutsche Grammophon, Victor and Pavana. 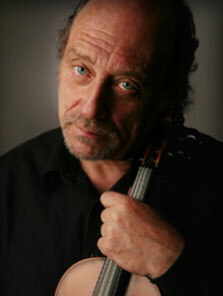 He has been the director of the "La Campanella" record company since 1993.